Football (7-a-side) was originally called Cerebral Palsy Football and is governed by the Cerebral Palsy International Sports and Recreation Association (CPISRA) using modified rules of the International Federation of Associated Football (FIFA). The game has expanded beyond players with cerebral palsy to include athletes with other brain injuries and similar conditions. There are seven players on the field at any one time including the goalkeeper. These players are drawn from four classification classes (FT5 through to FT8) depending on their functional ability. Teams must always have at least one FT5 and one FT6 player and a maximum of two FT8 (the fastest and most agile) players on the field at any time. These rules ensure that players of all classification classes have an integral role in the game. The field of play is roughly three quarters the size of a regular football pitch. It measures 75 metres long by 50 metres wide. Official national and international matches are played on a synthetic outdoor hockey field. 7-a-side Football was first played at the 1984 Paralympic Games, and has been played at every subsequent Games, with Ukraine winning the most medals. 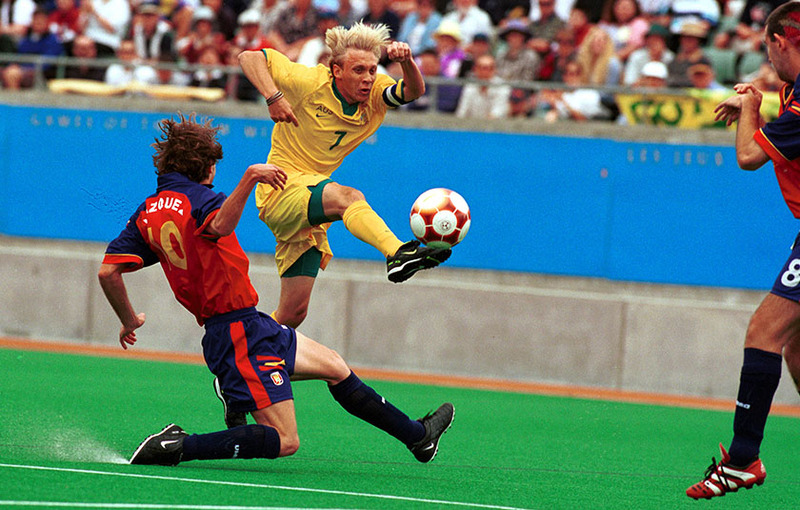 The first 7-a-side Australian team was formed in preparation for the Sydney 2000 Paralympics. The Australian Drillers, as the team was known due to sponsorship through BHP, participated in the 2000 Paralympics, losing all three of its games. The team was renamed as the Pararoos and has mixed success internationally, in a very competitive environment, where it receives minimal funding and opportunities compared with many other nations. The team has failed to qualify for any subsequent Games and the sport lost financial support from the Australian Sports Commission in 2015. In 2017 the Pararoos finished tenth at the world championships.